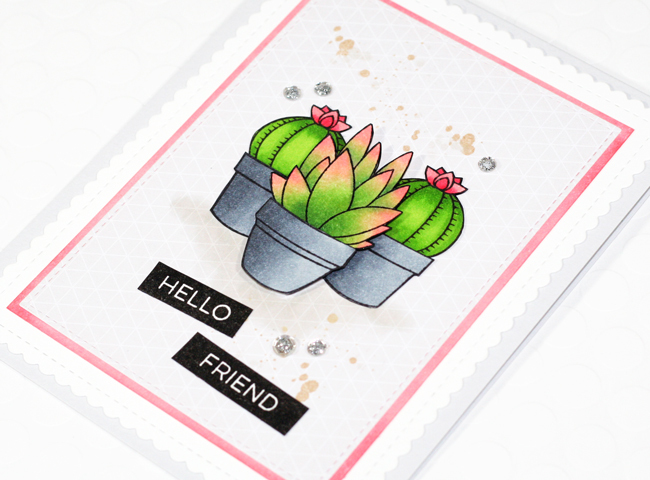 I love the greens and corals together and have been having a lot of fun playing around with Copic markers and blending different colours together to create realistic looking succulents. They are so addictive once you start. This is fantastic, Stephanie! 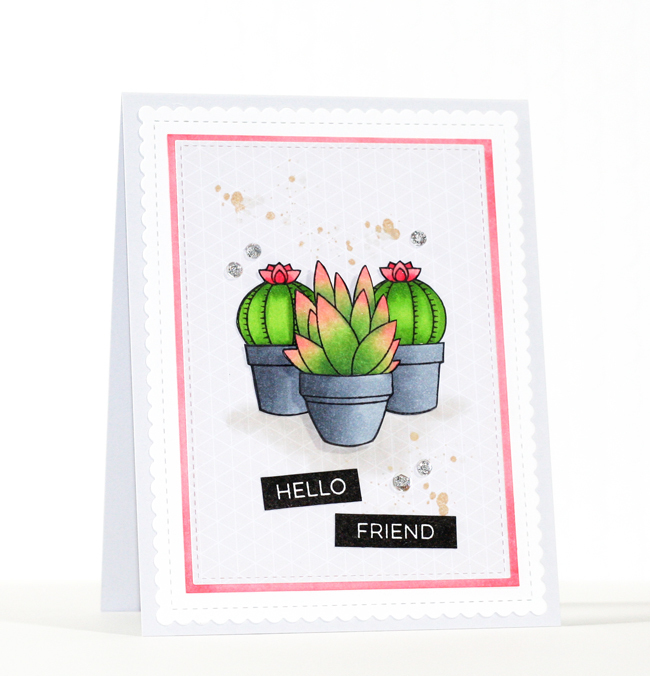 Love how you colored those succulents! Your colouring is gorgeous, Stephanie! Beautiful card.